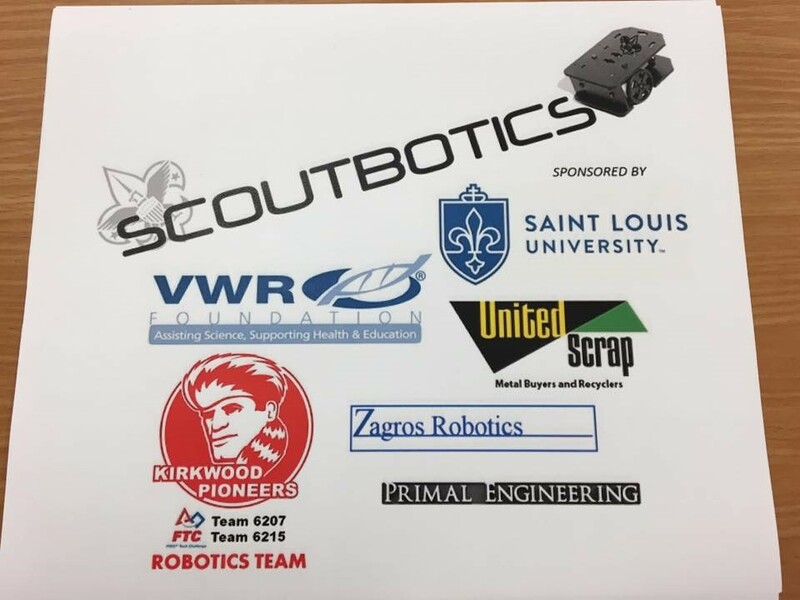 On Saturday, November 5, 2016 Zagros Robotics teamed up with The Greater St. Louis Area Council of the Boy Scouts of America for our second Scoutbotics Event. This year’s event was held at St. Louis University. 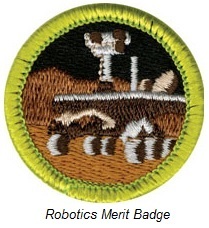 More than 60 Scouts earned their Robotics Merit Badge and a number of returning Scouts perfected their programming skills to earn the Programming Merit Badge. For the first-timers, the day began learning about Robotics as a career and then they quickly dove in to building and wiring the robots. 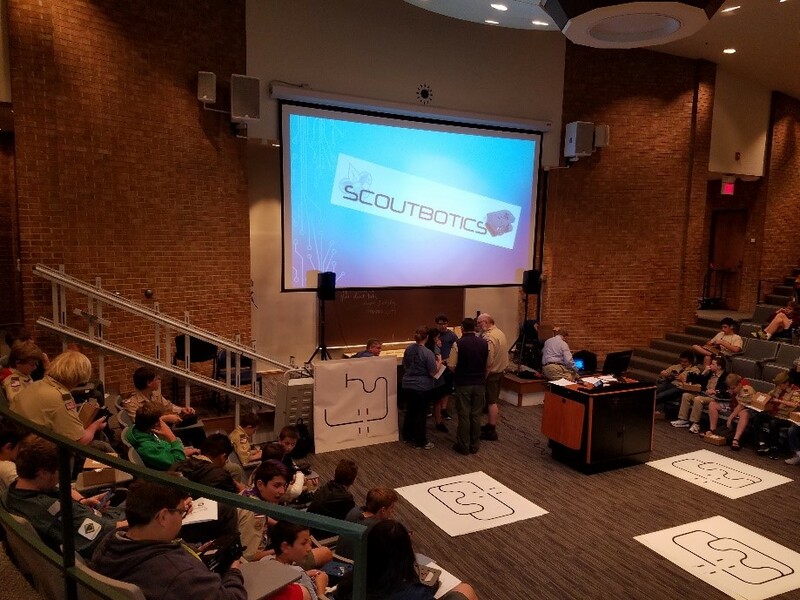 For returning Scouts, the discussion immediately centered on writing code and determining robot capability to address different courses and challenges. Both groups perfected their programs by testing and tweaking in preparation for the dénouement: A timed competition! 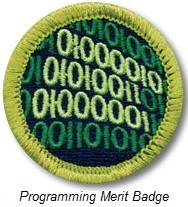 For those pursuing this Badge, the rigorous nature of Programming and Testing repeatedly to fine-tune the code into a program that could swiftly execute the given line maze was the true challenge! 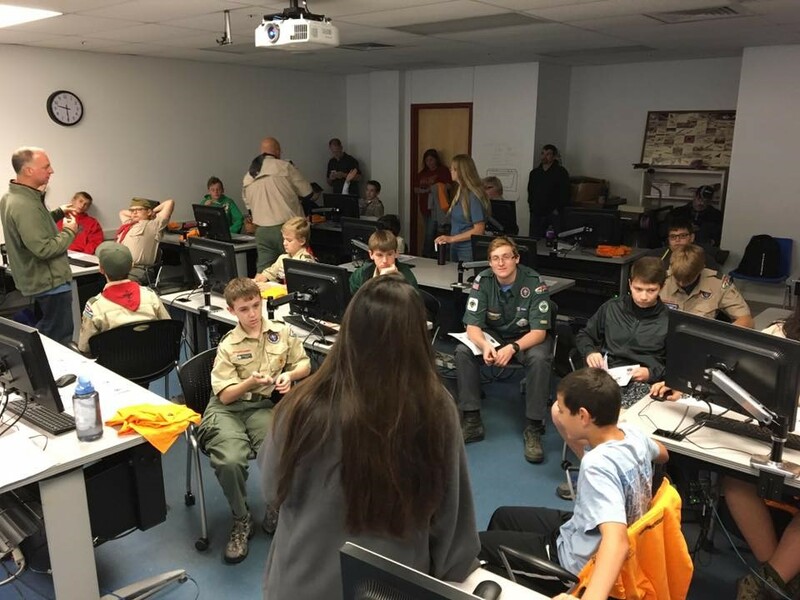 The projects include writing and debugging a functioning program which was the focus for the Advanced participants of Scoutbotics 2. 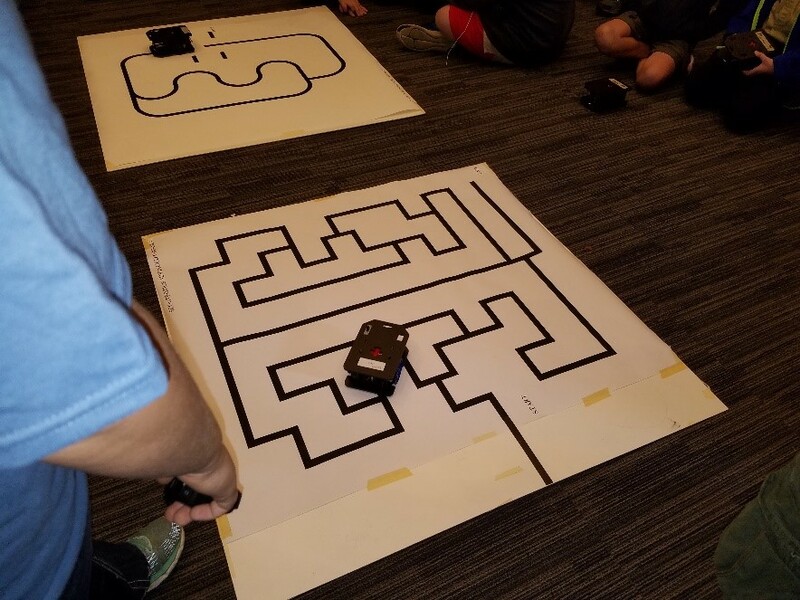 The complexity of the maze was contingent upon the skill level of the participants. 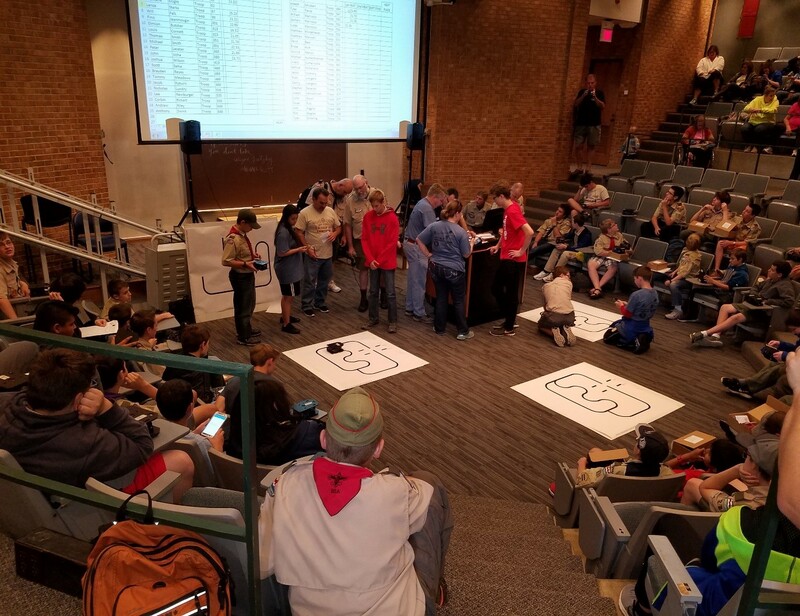 Each Scout had the opportunity to tweak their program during competition. 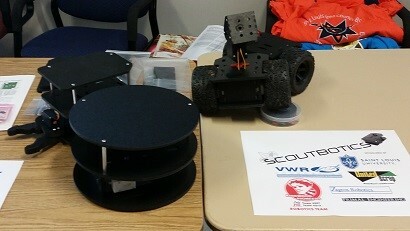 The competitors at each level with the fastest robots were declared the winners of Scoutbotics 2! Regardless of skill level, all of the participants learned the value of working together to solve problems. 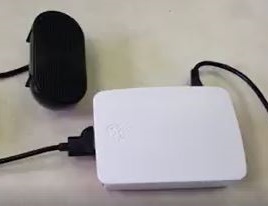 When troubleshooting, they often realized that a malfunction could be caused by one wire incorrectly placed or a single line of incorrect code. Attention to detail was paramount to success. Working together to share solutions to obstacles, they realized the satisfaction of achievement.